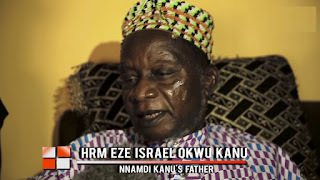 As the Nigerian government has defiantly refused to release HRM Eze Israel Okwu Kanu to enable him come back to his throne since September 14, 2017 when the Nigerian Army on the firm instruction of the Nigerian government invaded his Palace in a murderous raid and massacred visitors and servants of the Palace and captured HRM Eze Isreal Okwu and his son and took them to unknown destination probably for summary execution, it is time for Kings and other traditional rulers of Igbo land to rise up to the occasion and confront the Nigerian government by suing her to court over the disappearance of your fellow King in Igbo land. 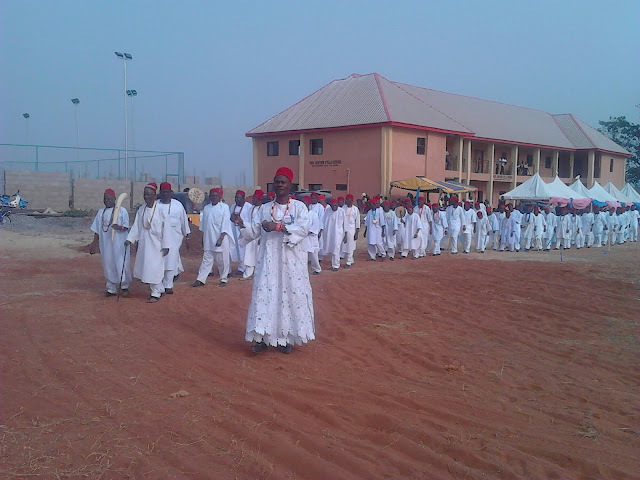 It is important for these Kings in Igbo land to understand that the Nigerian government actually desecrated the culture and traditions of Igbo people with impunity by carrying out such bloody and murderous raid in the hallowed Palace of the Ancient Kingdom of Afara-Ukwu Ibeko, Umuahia. 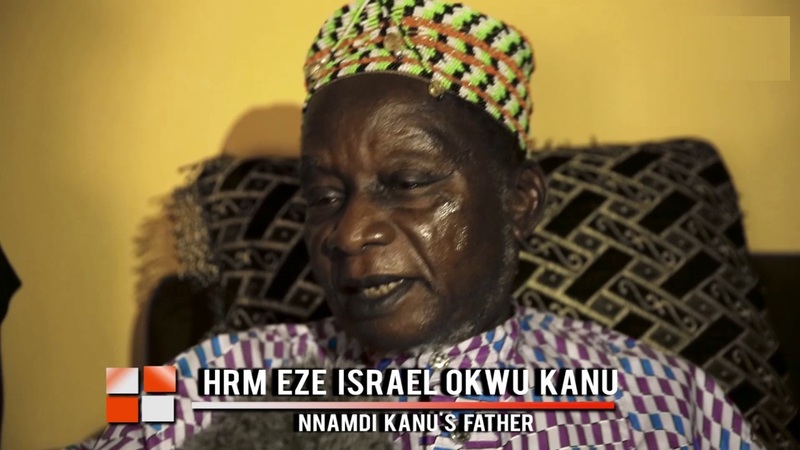 Traditional rulers of Igbo land must throw away cowardice and inferiority complex before the Nigerian government by taking the alien government and its murderous forces of terror called Nigeria Army to court, ask them where they kept HRM Eze Israel Okwu Kanu and his son, the supposed crown prince of the Kingdom, Mazi Nnamdi Kanu, the Supreme leader of Indigenous People of Biafra (IPOB) worldwide. The reason why the traditional rulers of Igbo land must take Nigeria government to court for them to release HRM Eze Okwu Kanu is because had it been that it was at the palace of Emir of Kano or Emir of Zazzau or at best Sultan of Sokoto that the Nigerian Army carried out such murderous raid and massacred visitors and servants of the palace and captured the Emir himself, Nigeria federation will be on fire by now. However, since Igbo people are not as brainless as the Hausa Fulani Islamic almajiris to ferment troubles at the moment, the Igbo traditional rulers must do well by heading to court to seek redress and unconditional release of HRM Eze Okwu Kanu. The Nigerian government has held the traditional ruler for too long whereas he committed no crime in the Land. With what the Nigerian government instructed the Nigerian Army to do at the Palace of Afara Ukwu Ancient Kingdom, it has become obvious that the Nigerian government has no respect for traditional institution of Igbo land and their occupants. If the traditional rulers become too terrified to demand for the release of HRM Eze Okwu Kanu because of the monthly peanut's change being giving to them as salaries by the blood sucking vampires called governors in Igbo land, I am sorry for the traditional rulers because if the Nigerian government get away with the taboo they committed in Afara Ukwu Ibeko, the next target of their atrocities could be the Palace of Obi of Onitsha, the Palace of Asagba of Asaba, the Palace of Obi of Ogwashi-Ukwu, the Palace of Enyi of Aba, the Palace of Eze-Uzu of Awka, the Palace of Igwe of Nnewi, the Palace of Amayanabo of Opobo or any other Palace in Igbo land because nobody challenged them when they committed atrocities in the palace of Afara Ukwu, Ibeko in Umuahia. It is better for these traditional rulers to run for their lives together now by taking the Nigerian government to court as a body of traditional rulers in Igbo land and demand for the release of their colleague than facing the venom of the Nigerian government tyranny when it comes to another victim among them because the Nigerian government has declared systematic open war against the traditional institution of Igbo land via the governors as noticeable in the murderous raid in the palace of Afara Ukwu, Ibeko. I appreciate the little effort which they have made through their declaration by condemning the murderous raid but they must go beyond issuing statement against the capturing of HRM Eze Okwu Kanu but demand his release in court. It is no more hearsay that the Nigerian government has desecrated the culture of Igbo land but the so-called shameless leaders of Igbo land like John Nnia Nwodo of Ohaneze are still romancing with the Nigerian government principal officers as if nothing happened against the culture of the land in Afara Ukwu ancient Kingdom. Let it be known to Igbo land traditional rulers that they can never be in the same page with these blood sucking politicians such as John Nnia Nwodo or the governors, so they must summon courage and fight the war once and for all they should wait for the next victim of Nigeria government venom of tyranny. Today, it is against HRM Eze Israel Okwu Kanu. If something is not done fast, tomorrow it could be the turn of HRH Igwe Nnaemeka Alfred Achebe of Onithsa or HRH Obi Chike Edozien, the Asagba of Asaba or Igwe Gibson Nwosu, Eze Uzu of Awka or any other King of Igbo land. Let them think about my analysis and use tongue to count their teeth. I rest my case!